SKU: Tin Christmas tree small. Category: Christmas. Tag: Christmas. 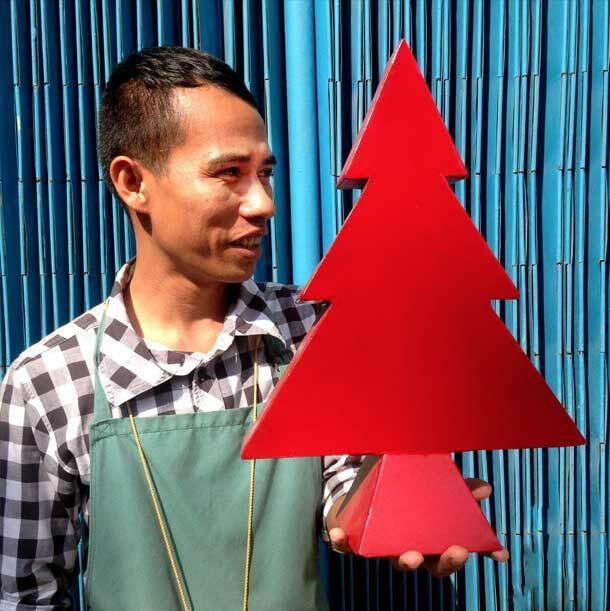 METAL Industrial Chic: Its all about hard surfaces this year, and that includes our holiday decorations in Battambang. Commissioning local metal tinsmiths, we decked the halls of Bric-à-Brac with red, green, and silver metal trees, available in two sizes. Be the first to review “Christmas tree – small” Click here to cancel reply.